After exploring Petra for two days it was time to live like the Bedouin did for the past 200 years in Petra, before it became a UNESCO site. We were picked up by a Bedouin man and taken into the desert on dirt road to his cave. 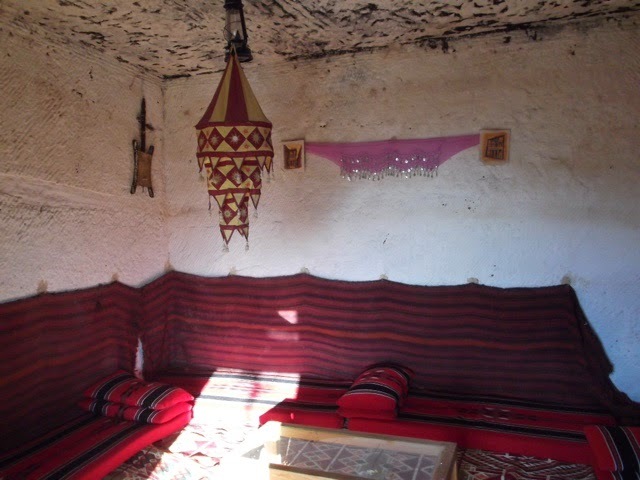 Currently some bedouins still live in caves, these humbe abodes are passed down into the family. 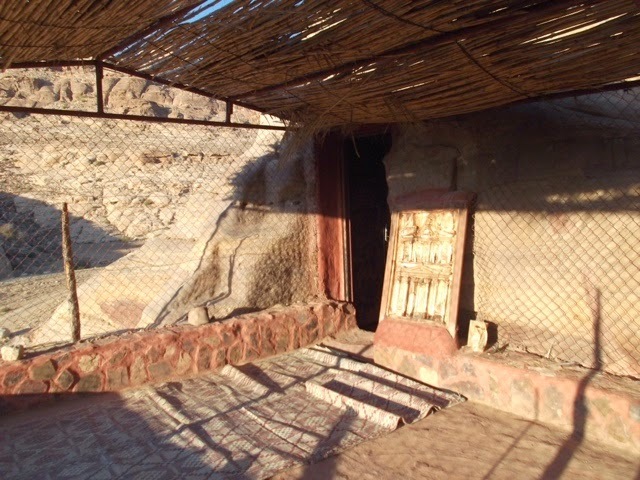 Our host was born in a cave in Petra and had hosted visitors often. For $60 we were given transportation, dinner and breakfast, drinks, hooka and a place to sleep. My friend Francios and I headed to the cave and were immediately sent up a mountain to watch the sunset. We climbed onto a large rock which offered us perfect seats to a spectacular desert sunset. After sunset we walked back to the cave for dinner. Our host made a fire and began cooking our dinner on the open flame. The meal consisted of chicken, eggplant, peppers, onions, potatoes and tomatoes cooked together in broth. We ate on the floor of the balcony of the cave with pita bread and our hands. Once we were stuffed we gathered around the fire as our host played the drum and sang Arabic ballads. His voice echoing against the desert rock. We turned in early, but as any solo female knows avoiding unwanted attention is often part of traveling. It was unfortunate to have to end my night trying to defend myself and resisting unwanted advances by our drunk host. 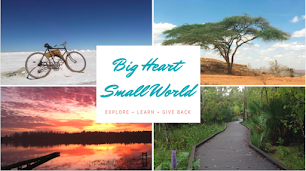 These difficulties are not new to me, nor to most women around the world, travelers and non-travelers alike. Sometime a simple "no" will do, other times it takes much more to protect yourself. I was fortunate that Francios was there, but too often female travelers must fight for dignity. Women travelers should be able to travel without having to rely on male counterparts to protect them. I could not sleep much that night, the hard floors, lack of pillow and cold air were the least of my problems. In the morning I confronted him and I decided to pay less for my stay. I also reported him to my host in Umm Sayhoun, who had recommended him. She also confronted him and decided not to use him anymore as a host for travelers. It's very hard, but incredibly important to report anyone who threatens your dignity, it's important that that sort of behavior stops with you. It can be very hard talking about what happened but I encourage everyone to try. Traveler complaints are taken very seriously with police, hotel management and travel agencies. It's important to warn others about bad experiences and prevent any similar situations. All women should remember that any attention that makes you uncomfortable is not ok. In most of the Middle East and Muslim countries, touching a woman is not allowed (even hand shakes). It's too often that men take advantage of women who are nieive to their culture. Someone along my journey told me to challenge unwanted attention with the phrase "think of me as your sister". 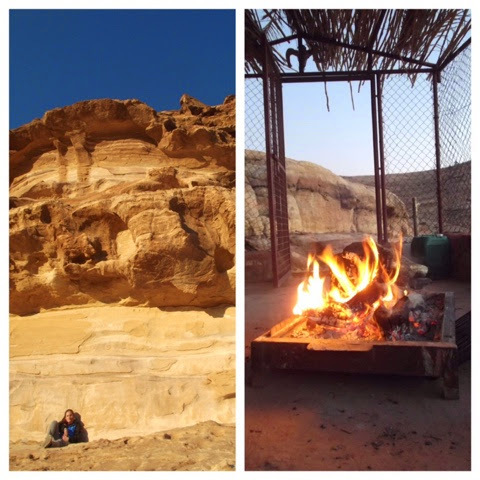 It was evident early on in the evening that his idea of women travellers coming to Jordan for a "fun night in a cave" was tainted by western media, a few rougue females or made up stories of Bedouin one night stands. 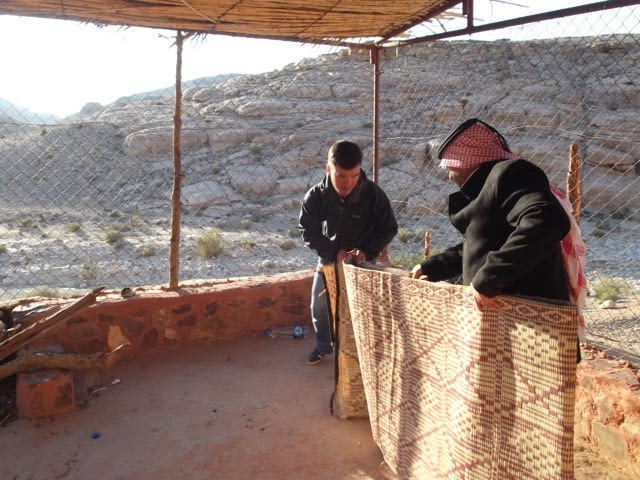 I defended women by telling him this was not the case in majority of female travellers, but he kept say "a lot of women" came to Jordan to try out a Bedouin man. This idea runs deep in many cultures of the world thanks to western media portraying women as hypersexual objects. Nonetheless this behavior is unwarranted, any woman who suffers similar attention should not tolerate it and should seek that the perpetrators be stopped. I ignored our hungover host the rest of the morning. I was dropped off at the bus station with Francious and we headed up to the capital of Jordan, Amman.